Do you dream of flying over the earth like an eagle, taking in the surroundings and feeling the wind in your face? You can cross that one off your bucket any time you please, with an amazing scenic hot air balloon rides. 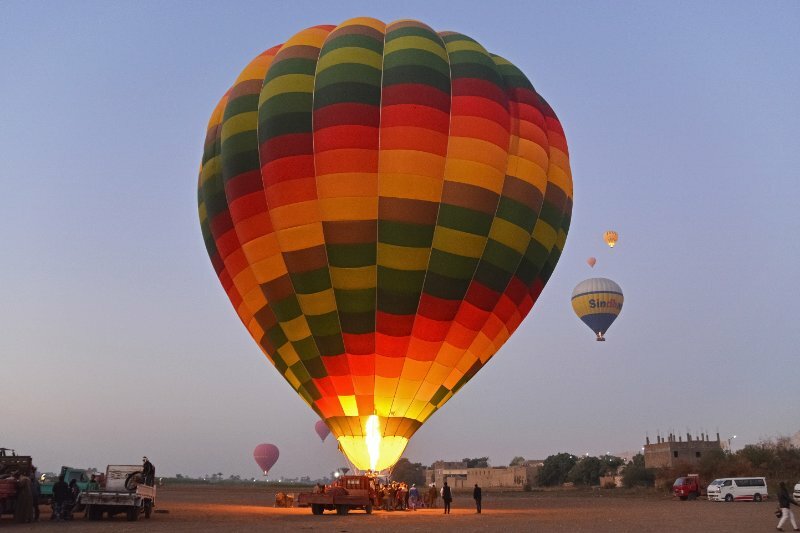 For the ultimate combination of breathtaking vistas and the joy of free floating above the earth, go ballooning in one of these 7 perfect hot air balloon rides locations across the globe. Hot air ballooning isn’t just a sport in Cappadocia, it’s nearly an obsession and considered to be one of the best hot air balloon rides. And it’s easy to see why — this region of Turkey is blessed with some of the best, most consistent flying conditions in the world. But great weather and gentle breezes are just the beginning: Cappadocia is home to an amazing, surreal landscape of fairy chimney rocks that’s just made to be viewed from above. 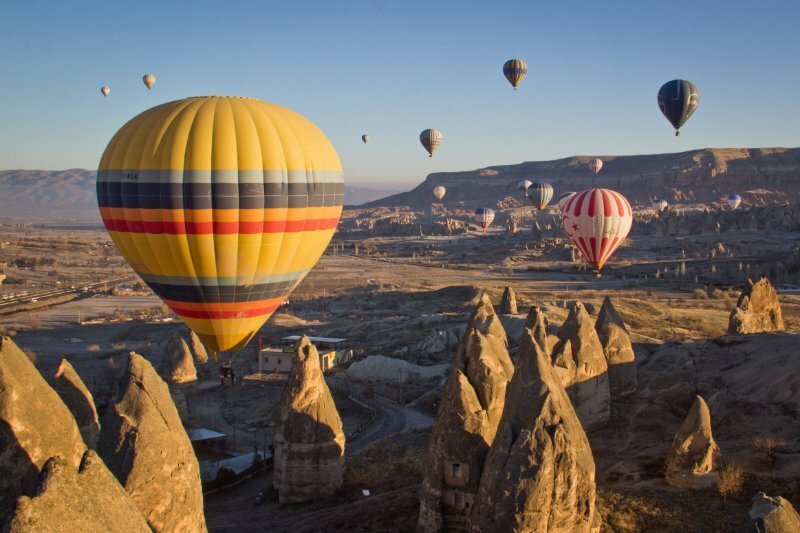 The colored rock formations, deep rippled ravines, and valleys filled with orchards and vineyards make Cappadocia a richly rewarding experience for balloonists. The weather is pretty mild here in winter, and there are some excellent days for flying — but the best time to view Cappadocia from the air is April through November. The gorgeous, pagoda-covered landscape around Bagan has been famous since the days of Marco Polo — the intrepid explorer called Bagan “one of the finest sights in the world.” And it’s even more enchanting when seen from the skies. In Bagan you’ll float gently over pagodas dating back to the 11th century, blown by winds that very rarely exceed 15 miles per hour. Flights leave at sunrise and sunset for magnificent views of the Ayeyarwaddy River, the lush green valleys guarded by the distant Rakhine Yoma mountains, and of course the romantic rooftops of more than 2000 ancient temples and pagodas. Watch the first rays of light touch the dark waters of the Nile. Greet the sunrise from above the famous temples at Luxor, floating like the very falcon of Horus. Avoid the crowds and see Egypt’s most famous landmarks — the Temple of Karnak, Hatshepsut’s Temple, the Colossi of Memnon, the Valley of the Queens, and the Temple of Ramses — all from a tranquil and brilliant Egyptian sky. A great way to begin or end a trip to the banks of the legendary Nile River, you’ll see the entire landscape from the city of Luxor to the distant mountains laid out below you in fabulous display. There have been several well-publicized ballooning accidents here since 2009, so be sure to book your trip with an accredited company that takes proper precautions. 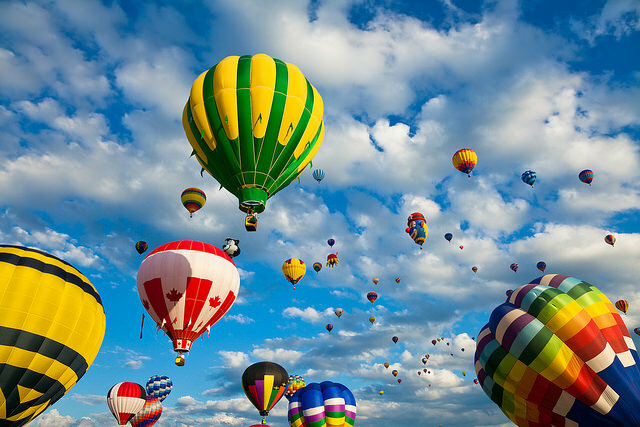 Year-round clear skies, gentle winds, and mild temperatures make Albuquerque home to the most hot-air balloonists of any location in the U.S. Each year for 9 days in October, Albuquerque hosts the International Balloon Fiesta — a great time to visit if you’re looking to watch as the skies fill with hundreds of colorful balloons. If you’re looking to take your own balloon tour of the amazing high desert landscape around Albuquerque, just about any other time of year will be perfect. This is Georgia O’Keefe country, and the subtle rock formations and the changing colors of the Sandia Mountains will recall her most famous works. For a different perspective on the rich wildlife and ecosystems of Serengeti National Park, try touring this vast landscape on a one-hour balloon safari. You’ll enjoy stunning views of this UNESCO World Heritage Site, and probably see more animals than you would in a full day on the ground. This is your chance to see elephants, buffalo, giraffes, and big cats safely from above. A truly astonishing sight, the Serengeti is home to more than a million wildebeest and thousands of zebras and elands who follow them across the African plain. And if you go there between May and July, you’ll be able to watch the amazing annual migration of the wildebeest herds from Serengeti to Maasai Mara in Kenya. There’s a safari of a different kind waiting for you in Napa Valley — one that floats gently over the lush California wine country and ends with a gourmet brunch and endlessly enjoyable wine pairings in a lovely garden. Balloon tours of Napa will fly you over magnificent mountain vistas and green valleys bursting with grape vines. This is a great way to avoid the heavy influx of tourists driving California’s popular Route 29 from Calistoga each summer. 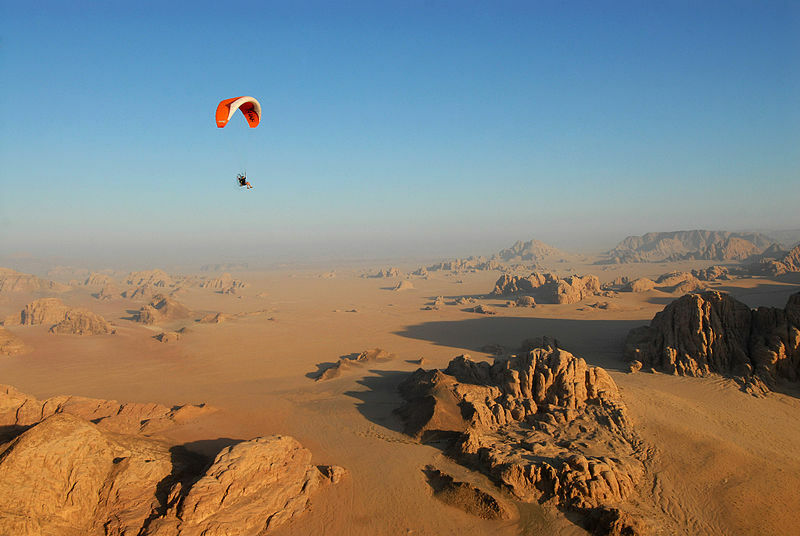 You might never be able to fly to the moon — but you can get a taste of the lunar landscape, in a hot air balloon flying over the Wadi Rum desert. Often called “Valley of the Moon,” Wadi Rum is characterized by its uniquely weathered terrain, with strange rock formations, graceful sand dunes, and shockingly alien circular green configurations of irrigated desert farms. Viewed from the sky, Wadi Rum’s stark otherworldly landscape becomes an almost spiritual experience — it’s the perfect place to (quite literally) rise above the everyday and simply be. Superb places… I am planning to go Tanzania. These all look beautiful but if i have to choose one I’d go with Cappadocia. That place just looks so surreal – I have to see it with my own eyes. Have You Visited the Top 8 Upside Down Houses On the Planet?